But that would be the whole point of having Sim damage - you don't want to roll your car, My thinking that everyone would be TOO carefull at turn one and that wound result in crashes too. 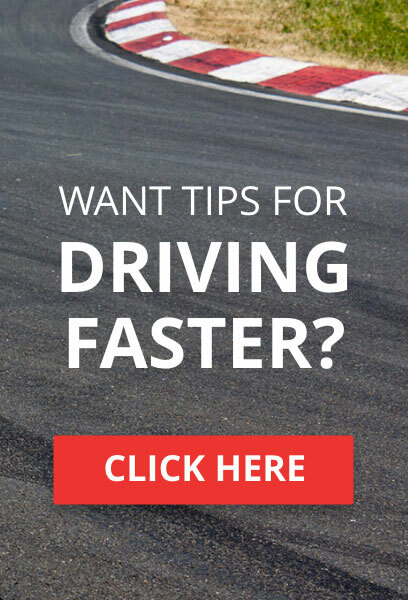 Personally have a staff member open up a thread with tips and general racing rules and drivers can ONLY ask questions in the thread, and it can be aimed at the staff/stewards/lobby hosts and community guys. Q how does the standing starts in a TCC race work? The answer can ONLY be answered by a red/orange/green or blue member. I'm talking about driver aids, not damage. Another Idea from me would be to get new drivers to a championship to use a yellow strip on their rear bumper so others know there new to this championship. CQR Franchitti wrote: Personally have a staff member open up a thread with tips and general racing rules and drivers can ONLY ask questions in the thread, and it can be aimed at the staff/stewards/lobby hosts and community guys. But why, when there are members out there who can be just as helpful? Cause the new guys can get the answers they want from the people that should 100% know. I feel at times way to many people jump in. It doesn't apply to everyone though, there are many trusted members of the community who don't have a 'coloured name'. I could quite happily start up a little racing school if needs be.. all i need is the go ahead and can make a good show of it ! nickyf1 wrote: It doesn't apply to everyone though, there are many trusted members of the community who don't have a 'coloured name'. Undesirables will give up easy, and the real racers who want professional competition will learn, and everyone will have more respect for each other on track. That's a great attitude. People who don't want to use driver aids are undesirable! How will you keep the series up without new and inexperienced drivers coming in and LEARNING how to race with the originals?! If it weren't for newbies the series would've died a death! How about supporting a way of getting new drivers in and learning them! 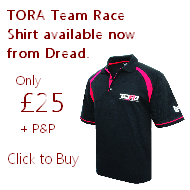 Myself and jgroves1996 are running a Fun Cup with all aids recommended to get people used to racing in TORA competition. The aim is that those who enter series 1 as complete rookies will eventually start turning the aids off and having a controlled, competitive yet fun environment in which to do so. The cars are all even so it's down to driver ability. Rather than talking about effectively weeding out the newbies, send them our way and help us to help them! A racing school of sorts is currently in development. I think Nicky is alluding to the fact that back when TORA wasn't so big, we had to learn with practice. If drivers dive straight in to a series they aren't prepared for its their own fault. That's how we learned, and you rarely see a long time member cautioned by the stewards. 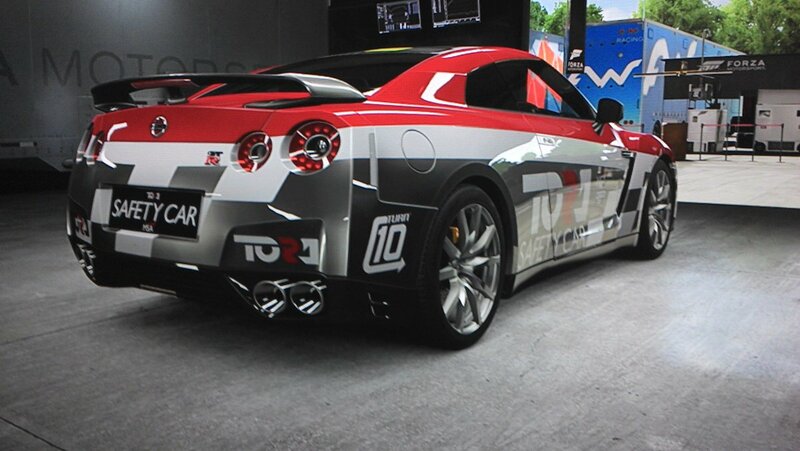 jgroves' Fun Cup is that series that is aimed at the new to TORA racers. Hopefully they will learn how to race, then be able to ween off the assists from there. One suggestion for that series: Be VERY strict with driving standards rules. Not to the point of banning aggressive drivers as much as position and points penalties. Let them know what is acceptable and what is verboten. ok ive not been here long but from the races i have had this seems like it could be a good idea. do not exclude anyone, the race rules you have may only attract the better drivers but what happens if they leave, do you run with 5 in a lobby or less. 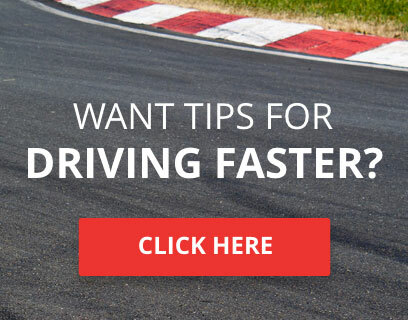 the best thing you can do is have a race night, it may be annoying and boring but you need something that the new drivers can race in, some may have only ever used fully assisted and will need time with others to learn to drive without them. dont make they go away and learn on there own get them in and let them learn here, do you think they will be more or less loyal if they feel they learnt to drive here, im thinking more loyal. then you have a way of taking new drivers through how the site works and how races start and so on so by the time they are ready to move up they need no help. now we all love racing but isnt it better to race with others than on your own, when i came in recently i had never raced in a league so i was a little unsure as to how good anyone was, then you went and reversed the grid on me putting me at the front,lol. having 15 super fast guys starting behind you is pressure, so whats wrong with somewhere new guys and gals can race where they wont have that, if someone turns out to be too good just move them up. this also means you wont have super slow guys stopping good races. the media team can promote the racing and then you keep them here by offering structure but in a learning curve they can handle, its lots of works maybe but im sure there are ppl here willing to help. I would like to suggest the use of an official 'TORA Safety Car' in race events where this may be applicable, for various reasons. 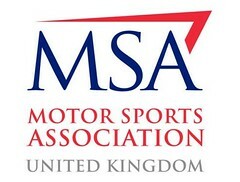 The main point of use is to deviate confusion where new lobby members may not be aware of current safety car rules within TORA, and under certain circumstances may cause an incident under safety car conditions. The use of a designated safety car can be used to mitigate this issue, as it stands out more than the lead car, which in long races where cars are being lapped can become confusing. 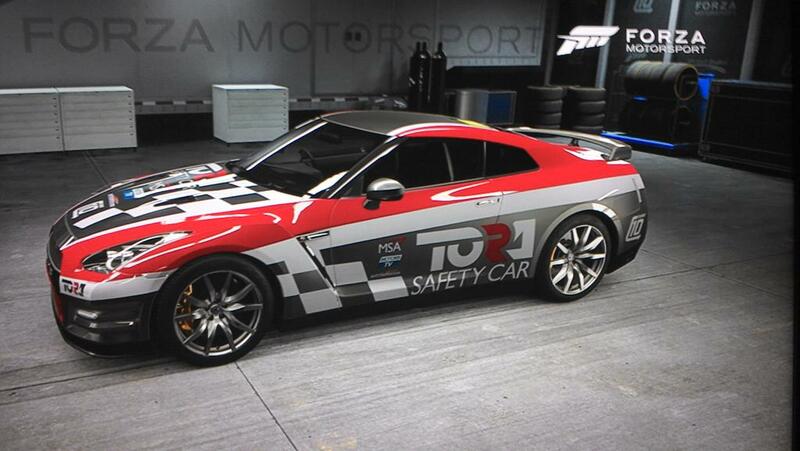 The other reason for this is for presentation, as an official safety car can be used to promote TORA, and can be used without the safety car lights and designation as a promotional vehicle in on-line lobbies by anyone who wants the design. This feature is possible despite the automatic kick feature on inactive players, as this does not affect user created lobbies any more. I feel it would be a good addition to TORA, for promotional reasons as well as realism, to add more into the series and gain more people through its use elsewhere. 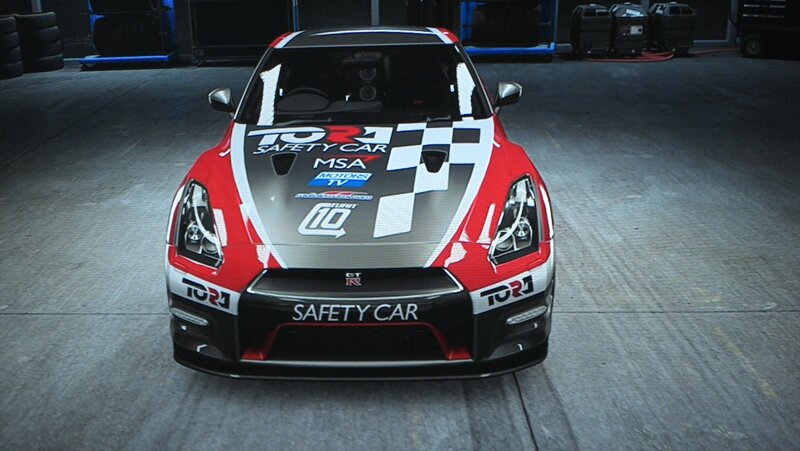 Images of a concept for a TORA Safety Car below. more detailed pictures can be taken in-game if necessary. Two possible issues with using a safety car; one, it eats a lobby spot with a car just sitting in the pits, two, finding volunteers willing to be the safety car. This could be a further issue when it involves multiple lobbies. 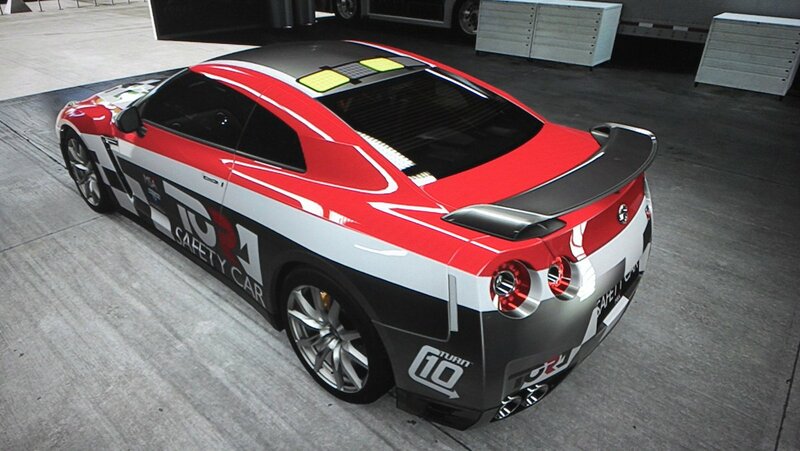 EZT MAKO 6669 wrote: Two possible issues with using a safety car; one, it eats a lobby spot with a car just sitting in the pits, two, finding volunteers willing to be the safety car. This could be a further issue when it involves multiple lobbies. Yes. Finding one volunteer is likely to become a challenge from week to week. Finding 3-5 volunteers on a weekly basis would be highly unlikely. Yes and no. In a way, I agree with you as most of the time, it's the "bigger" drivers having most input on what goes on in the championships(in my opinion), but there has been times where other peoples suggestions have been taken into account. Just depends who's sorting the series. Keep in mind that most series are planned well in advance of their release. When a series is running, the next one is already being worked on, if not already to go. The organizers have to have a schedule planned out to keep things moving, that way there are minimal delays between series. Bring as much info as you can to a series coordinator or developer. Developing a series is time consuming and much more work than people may realize, and takes the efforts of a number of people usually. An organizer will appreciate having as much of the groundwork done as possible. Be honest with yourself when considering a possible series. Is it something others would be interested in, or is it just something you really like. Approach the sections organizer directly. Each section usually has an organizer, for example, Flying Mikey runs the TORA us section. Discuss your ideas with them in person. Even better, if possible, friend them and discuss it in chat on the xbox. See if your idea is viable and ask what they would suggest to make it a reality. Don't be shy about asking for help from others. If you don't have access to a team or a network of friends that can help, approach others. The more input you can get the better your chances of creating a successful series. Lastly, be persistent (without being obnoxious). A good idea is a good idea. The schedules are often fluid, with room to insert unplanned series in open spots.